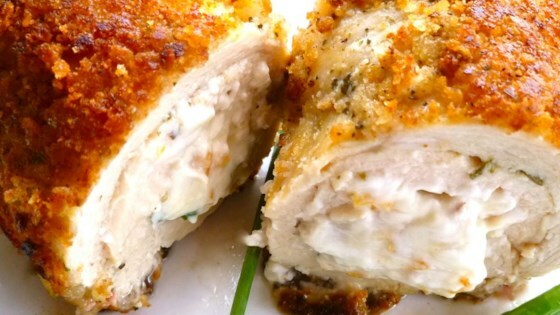 "Chicken, cream cheese, and garlic unite in this marriage of Chicken Neptune, Chicken Kiev, and a shorthanded pantry! Takes less fuss than either of its inspirations, and recipe can easily be increased for larger households." Oh my gosh, this is one of the best chicken dishes I ever made. My husband was skeptical about the cream cheese until he took his first bite. He was looking for thirds!!!! AWESOME RECIPE!! This was o.k. No one in my family was too thrilled with it. I followed it to a tee but it was still too much garlic and I love garlic. I doubt I'll make this one again.